If you have an Xbox 360 or a Windows Mobile phone, then your best bet on syncing all your music and media would be Windows Media Player 12. Sadly enough, you may have already encountered problems refreshing your library and keeping things tidy. But, with these simple steps, you can rebuild your music library in just a few clicks. First of all, make sure that Windows Media Player is closed. To start, Click the Windows Start Menu Orb and Type services.msc in the search box. Then Press Enter to open the Services window. From the Services window find the Windows Media Player Network Sharing Service. To disable it, Right–Click it and Select Stop. A small dialog box may temporarily appear while the process is stopping. Keep the Services window open; we’ll need it again, later on, to re-enable this service after we first eliminate a few files. 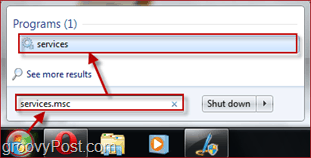 You can now close the Explorer window and get back to the Services window. From the Services window, find the Windows Media Player Network Sharing Service again, but this time when Right-Clicking select Start. Again, a small dialog box will temporarily appear while the process enables itself. Now all you have to do is open up WMP 12 and watch your library rebuild itself. Depending on the amount of songs you have, and how fast your computer is this process can take from 30 seconds to 15 minutes. For my little 429-track library, it took less than 2 minutes, which is quick keeping in mind that ALL my tracks (yes, all of them) are tagged with album art and all other information. This trick will certainly help you whenever you’re having library problems with WMP 12. 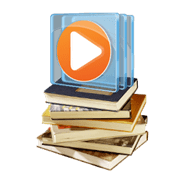 But let’s hope that we can forget all about Media Player issues and other annoying problems once Service Pack 1 For Windows 7 is bought out to the public. Thank you! I am one happy Mofo now! This was EXACTLY what I needed to know, thank you for the clear and concise directions! I just finished tagging ALL of my songs with album art (7200 of them) and want WMP to recognize this art instead of it’s stupid 200×200 art. Thanks. Sometimes my ITunes puchases show up in WMP, sometimes they don’t. I use this trick when they don’t. Thank you! I had my music on my E: drive and moved everything over to my C: drive, which apparently caused WMP12 to have some sort of breakdown. WMP11 was so much easier. I hope MS can get their act together. Why fix what ain’t broke? @Allan – hey I’m happy the article helped ya out. And yeah, I can’t tell you how many times my favoriate apps have been ruined after the DEV’s decided they needed an upgrade…. Excellent! Glad it worked out. Do you have a large library? Another thanks on an awesome article. Much needed to get my updated music library from my external into WMP for BlackBerry Media Sync. Thanks Steve. I was going crazy trying to figure out how to delete and rebuild the library (until your great instructions). Thank You; Thank You; Thank You! This was EXACTLY what I needed! This metod didn’t work for me.. deleting the music library locations folders (the entries that say which folders should be included in the library) and then adding them again did work however. 1. only 429 files.. I almost feel sorry for ya.. although it must be handy to know, and be able to organize, each and every track you have. 2. you don’t need the Windows Media Player Network Sharing Service to build a library because I’ve it disabled. 3. building the library took me clearly more then 20 minutes – my pc isn’t even slow or anything and don’t have all the file tags filled in or don’t even use the album art – after which I decided to do something else. I followed your instructions to rebuild WMP but I’m still not seeing some albums that I see in WMP but not my music library. What else can I do to get all my albums in my music library? You’re in reality a excellent webmaster. The web site loading pace is incredible. It sort of feels that you’re doing any unique trick. In addition, The contents are masterwork. you’ve done a magnificent job on this subject! Oh, my gosh… Can’t thank you enough! My Windows Media Player was showing files that had been deleted and I was ready to throw my computer out the window!! Thank you for these instructions, which I have used a couple of times now. This time around, I have had an odd glitch. As well as rebuilding WMP, I decided to clear out my MP3 player, a Samsung YP-P3, using the player’s own Format command. Afterwards WMP rebuilds its own library fine, but when I use it to Sync to the Samsung player, the music syncs fine, but most tracks show the album and artist as unknown, which makes it kind of hard to choose the music I want. Wow! Did this ever solve my problems. Thanks, Thanks, Thanks. I’ve been struggling with this hangup partially caused by having Itunes installed as well as WMP. Now I’m educated enough to prevent this from reocurring. Thanks. If only MS was as helpful. Why do they change WMP all the time? I swear Win 7 and all the new MS programs, are exactly the same as XP and its era of Programs, just with all the menus and buttons hidden. So annoying. I know MS Programs inside and out, yet I’m stuck staring in confusion at the new Office, WMP, ect. Thanks for this clear explanation. Your fix worked perfectly, clearing up my deleted files and finding the new ones. Oh my god – would only let me delete the MLS files but now my massive 400gb music collection is reappearing – thanks!!!! It won’t let me delete the currentdatabase_372.wmdb file. It says it’s in use. I’ve tried ending processes, but no go. ECHO Ready to rebuild Media Database. Are you sure you want to continue? ECHO Please wait until Windows Media Player has finished before continuing. The SHUTDOWN /R command reboots the computer, necessary if you’re using WMP to stream to a networked device (i.e. Xbox 360,) feel free to remove it if that’s not your case. Save as either a .bat or .cmd. Run the batch file any time you need to rebuild your database. Awesome! I’m glad it help you out. Welcome to GroovyPost! Thanks for the post, i needed it ! thank you very much for this.. it helped a lot keep up the great work. Doesn’t work for me, not for movie files, but works for music files and images, how comes? Everything worked except I couldn’t delete the “currentdatabase_372”. Reading through the comments below, looks like you don’t have a suggestion. Thanks anyway. Could not “browse” my way to %USERNAME%\ because it does not exist on my machine. Why not just take the mystery out of it? It did work for me fortunately. It seems %USERNAME% was not mentioned in the article when I read it today, but %USERPROFILE% was, which in my case pointed to c:\users\. Big thanks to Steve on the help for this issue. First time reader and will continue to visit from here on out. Keep up the good work and thanks! Unfortunately, your suggestion has not helped. My WMP12 has two issues – perhaps related. First, a year ago I added a set of folders from an external drive to the set of library locations in the organize->manage libraries->music, but I don’t want those locations used anymore to build the database, but no matter what I do when I restart WMP12 they are back again. Of course, I stopped all sharing services and then I removed them using the remove button, but they are always there when I restart WMP12. I went to the Media Player folder in my user account and deleted all wmdb files; the folders came back. I deleted the entire Media Player Folder – same result. I went into the control panel and unchecked Media Player and Media Services and restarted then re-checked WMP and then restarted presumably to load a whole new WMP; same result. 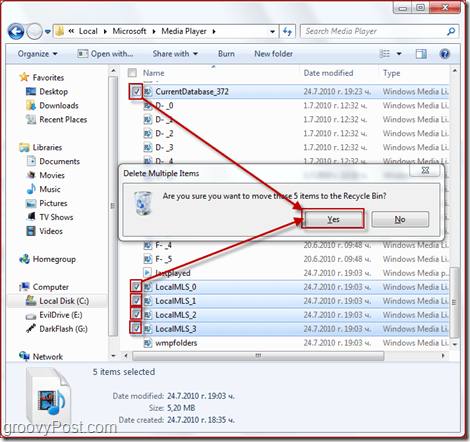 The second problem is that whereas I can drag individual music files into WMP and it will add the file to the library, when I drag and drop a folder, whereas the little popup icon says it is adding the folder to the library like it should, no music from that folder appears to be added. So I go into organize->manage libraries->music and just add the folder I want there and the folder appears in the list, but nothing else happens. No music actually appears to add. Then of course, when I restart WMP, the folder I added isn’t even in the organize->manage libraries->music list and the old folders are back. Help Help. This was really helpful. My problem now is that when I restart my computer, WMP is empty and has to add all my music all over again. It has happened every time I restarted. Is this a related problem, or something different? sir i have some problem in windows media player . which i play some music or video then that save in media player library wich you goto the start menu right on the wendows media player then that will be show for you . how can i mack that dont came there agian. pleas help me as some as posible . Nevertheless it is difficult to make the right decisions when downloading free music online. totally free too. Smith also went on to say: “It is just the establishing, over the further several months movie buffs will understand the valid power of movies links. Thank you, thank you, thank you! I had tried several other tech websites, (including Microsoft, which was no help at all. Surprise, surprise.) and had not been able to get any help solving the issue of my newly created playlists showing up in WMP. This was exactly the solution I needed, especially after I did a refresh of the player and wiped all my music off of it. Thanks again for the great walkthrough! Awesome tip! Totally helped me when the Microsoft support site was giving me a run around! I tried ALL of this; ended up getting rid of my windows PC; got an apple and run my music via iTunes now. In my experience Windows was fine for about 40 albums, but when it got to 600 it was incapable of managing it and kept deleting ALL of the music. Tried using other music library managing programs; came down to windows being incapable. I have over 8oo albums and iTunes copes admirably. I also tried using iTunes for windows but found it was having too many problems. In MY experience i find that iTunes works perfectly in its own native environment i.e. an Apple Mac. I know there are many out there who use it on windows quite successfully but my pc wasn’t up to it at all. i disabled the service, run with the exe, deleted the cache in the DATA file rebooted. nothing. its dead. nothing is working. i tried realplayer to load files, i tried a light chrome player to load files, i tried Win media again- it just stalls out midway or WMP doesnt even open. im at a loss. thanks. I did everything windows said in order to reset it back to factory and nothing worked except this.